First prize – tktl for her Manny Cardigan. She started with the sheep she raises and took it all the way to a finished sweater for her husband. 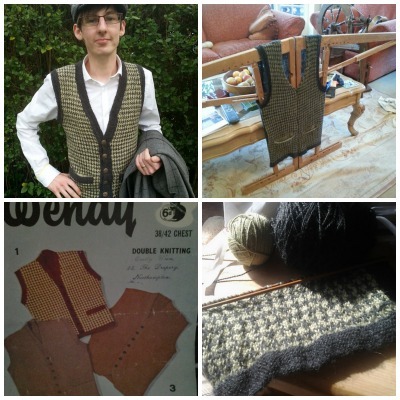 Second prize – to freya12 and her Vintage Waistcoat. This was a true rescue operation; she took a pattern that was slipping away into history and brought it back. Third prize – to ceresandraste for her Egyptian Diamonds. I think this was our “oldest” vintage. Ceresandraste recreated a belt discovered in a Pharaoh’s tomb. Honorable Mention – to Redcabbage made It’s a small world. Its a set of six pieces made using five different crafts and everything is tiny. Its a doll house furnishing set and its adorable. Go read more details and all the prizes they won! Thanks to everyone who made this challenge a success! Some patterns are timeless, or they should be. Making things by hand is a wonderful way to connect to the past. 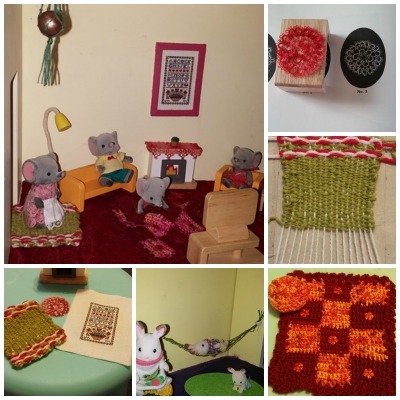 We hope that you’ll join us at the Roving Crafters and keep that connection alive by reviving a vintage item. Keep an oldie but goodie from sliding forgotten into the past while challenging your crafting know-how. Jess and I are not big into rules but we have to have a few. We’ve tried to keep them to a minimum. We reserve the right to bend these rules if needed to keep things running smoothly. The point of all this is to have fun (and lots of it) not be hallway monitors. Also, this is our first contest and we might have.. umm… forgotten a thing here or there. If we do change anything big, I’ll post revisions here. 1) We are looking for things made with yarn and any yarn done up in any way is groovy.We want knitters, crocheters, weavers, tatters, lace-makers, felters, macrame-ers (is that a word? ), and cross stitchers to show us what they can do. If there is a yarn related craft that you think should be included on this list, shoot me a suggestion the comment section. I’m open to it. 2) We want stuff that looks like things crafters were making 40 years ago or earlier. That means from 1975 all the way back to the beginning of making things with yarn (which I think is that nalbinding fragment found in Israel dated at 6500 BCE). Pick any style, item, pattern and revive it! 3) You can work from a pattern, an old photo, something you saw on Pinterest, or an actual finished piece you want to duplicate. But you will need to be able to reference it (like a pattern link or a scanned image or a picture) and include it on your project page in Ravelry (more on the Ravelry project page below). We want to see what you are reviving. Its important that you get the right tag in there. That’s how we will track our contest entries and run the weekly drawing prizes! 5) You can enter more than once. Go nuts. 6) Be done by the end of the contest. 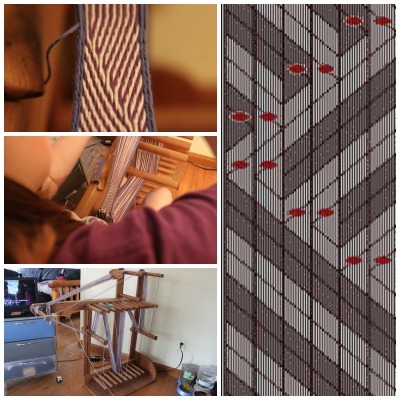 Only entries that are finished by April 15th 23:59 (CST) (and marked as such in Ravelry) will be judged for the 1st, 2nd, and 3rd place winners. 7) (Updated!) In order to be fair to all, we are asking that you start a new project. That way everyone has 6 weeks to finish. Thanks! We have some lovely prizes to give away. I’m a little jealous of our future prize winners. 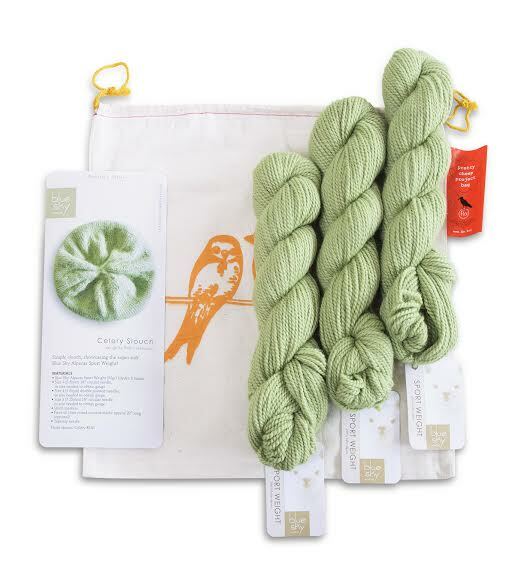 – for FIRST PRIZE we have a Blue Sky Alpaca project kit which includes a project bag, a pattern & three skeins of baby alpaca in color # 543 and (AND!) 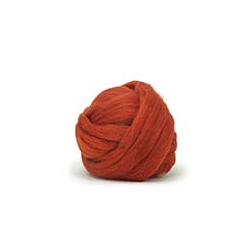 2 bags of Louet Dyed Merino Top in the colorway of your choice. 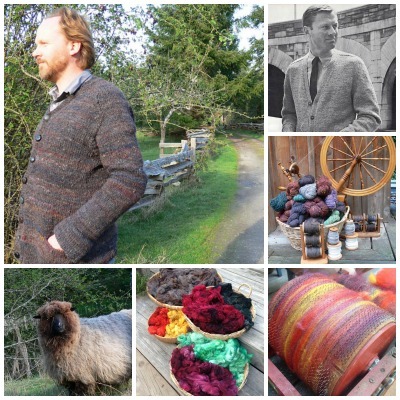 – the SECOND PRIZE is provided by Mountain Meadow Wool. Their yarn is crafted with special care and all in beautiful Wyoming. The fiber comes from sheep raised on two private ranches in Jackson County Wyoming. Then its sent to their own mill in Buffalo Wyoming for processing. Afterwards is all dyed by hand in one of 40 colors. The winner will receive two skeins in the color of their choice! 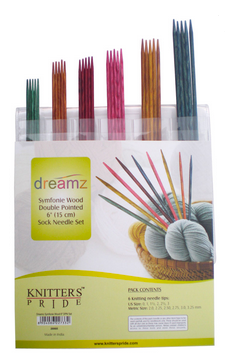 – for THIRD PRIZE we have the Symfonie Dreamz Sock Double Pointed Needle Set from Knitter’s Pride. This prize, I don’t feel like I have to push. We’ve all tried these needles, right? So you probably know they are sweeeeeet DPNs. – for the Honorable Mention we have 4 oz of Targhee Top/ Bluefaced Leicester roving in Blue Bird from Mountain Colors Yarn. This is a “special order only” colorway and I’m having trouble finding a pic of it. So I’ll just show you a pile of their lovely roving an let your imagination take over! Lotion bar Gift Bags from Milk + Honey. These are handmade in Northern New Mexico from local Nubian goats, golden honey, beeswax, and organic calendula flowers. Just what you hands need. They come in three scents and the winner picks! 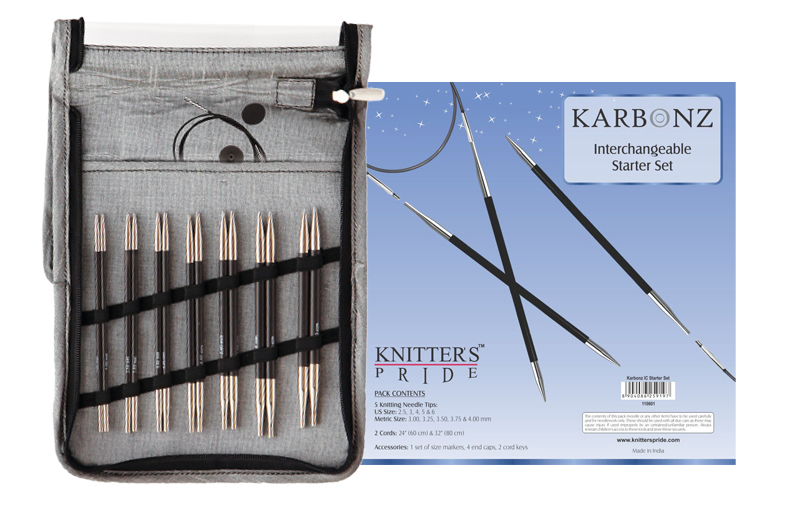 A Karbonz Interchangeable Starter Set from Knitter’s Pride. Again, do I have to say anything more? Who doesn’t want these needles? 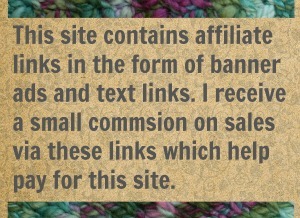 Winners will be announced here on the blog and contacted via Ravelry. Check often! A note on shipping prizes: Jess and I love you. We do. But we don’t really want to know where you live. If you’re a winner, we’ll give you the contact information for a company representative. You’ll get in touch with them and they will make all shipping arrangements. We will be scoring entries based on (1) creativity in the work, (2) the level of effort you put into it, and (3) how well you conformed to the historical period/design that you picked. And we want details! Tell us (in the project notes of your Ravelry project page) why you choose to make this and how you had to substitute this yarn for that and how you tracked down some archaic crochet term in three different books before you figured out it was just a front post half double. Reviving a Vintage isn’t always easy so let us follow you in your process. We love that. By the way, a dish cloth probably won’t win. But, a dish cloth with matching potholder, casserole warmer, salt & pepper shaker cozies, and napkin ring just might! If your work is part of a set, be sure to let us know. At the time of this writing, there is only one; my Knitted Fascination. I’m just using it as a place holder. I’m not rigging this thing to win myself any awesome prizes I swear! But I was kinda tempted to…..
Did you make it this far? Good! That was a long post for me and I would apologize for making you absorb so much information at once but I wanted to get everything for the contest organized in one place. And if you’re getting the sneaking suspicion that this whole ordeal is just an excuse to get you to start yet another project … you’re absolutely right. And your welcome. Remember to leave us a comment letting us know that your in! 94 Comments on "REVIVE A VINTAGE! 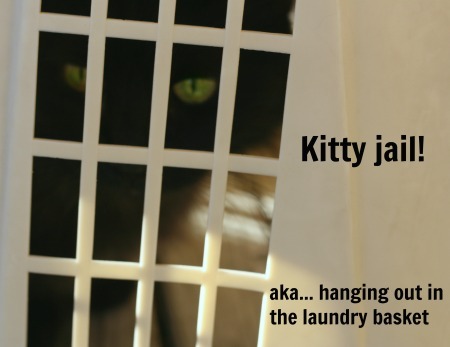 – FINISHED CONTEST"
Sounds like a fun challenge! I’m definitely in!! Time to go browse the On-Line Digital Archive on Weaving and Related Topics! This should be fun. Oh yes! That is a good one. I waste many hours there. This is perfect timing, as I am on my Second Sock and thinking ahead to what to cast on next. Research! Yay!